May 1: Plovers and Terns and Oystercatchers, Oh My! Contact Information: Boxborough Birders, https://boxboroughbirders.org/, Rita Grossman, 978-264-4077. Plovers and Terns and Oystercatchers, Oh My! Boxborough, Mass. – Boxborough Birders is proud to present local ornithologist Becky Harris, PhD, with her talk: “Plovers and Terns and Oystercatchers, Oh My! Beach Nesting Birds of Massachusetts,” at Sargent Memorial Library, 427 Massachusetts Avenue, Boxborough, Massachusetts, on Tuesday, May 1, 2018, at 7 pm. Dr. Harris teaches conservation biology at Tufts University for the Masters in Conservation Medicine Program. 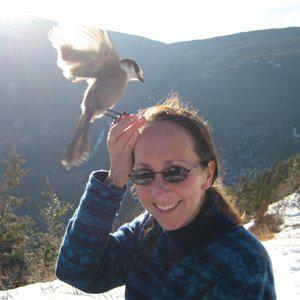 She has served as director of Mass Audubon’s Coastal Waterbird Program where she oversaw monitoring, management, and protection of threatened beach nesting birds and their habitats at over 100 sites throughout southeastern MA. Before arriving at Mass Audubon in June of 2006, Dr. Harris held a research faculty appointment at Tufts Center for Conservation Medicine, directing the Seabird Ecological Assessment Network (SEANET), which she founded in 2002. SEANET is a long-term collaborative effort using seabirds as indicators of marine and coastal ecosystem health. Concurrent with the presentation, there will be a bird photography exhibit (which begins April 16); table exhibits on bird houses, photographing birds, and resources on getting started in birding; as well as recommended guide books and phone apps. A brief welcome to all members will precede the presentation and Q&A with our speaker will follow the program. Light refreshments provided. This program is open to all ages. Please join us on Tuesday, May 1 at 7 pm, and bring a friend! The group organizes walks throughout the year, especially during spring and fall migration, and members post their observations (and often photos) from each scheduled walk to eBird (eBird is the world’s largest citizen science biodiversity program; it is managed by the Cornell Lab of Ornithology, which receives over 100 million bird sightings each year to its database from bird observers). 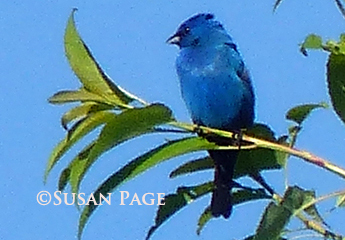 Boxborough Birders also shares lists with group members via the Boxborough Birders Google group. In the winter, the group participates in the annual Audubon Christmas Bird Count as part of the Concord circle. New members are always welcome. Visit https://groups.google.com/d/forum/boxboroughbirders to join! This is the first meeting of the members for the Boxborough Birders.